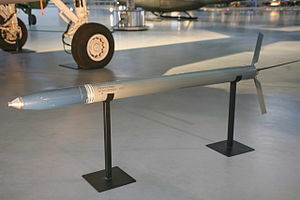 The Zuni is a 5.0 in (127.0 mm) unguided rocket deployed by the United States armed forces. The rocket was developed for both air-to-air and air-to-ground operations. It can be used to carry various types of warheads, including chaff for countermeasures. It is usually fired from the LAU-10 rocket pod holding four rockets. In the early 1950s, U.S. Navy engineers Naval Ordnance Test Station China Lake began to develop a new 12.7 cm unguided rocket to replace the High Velocity Aircraft Rocket. The Zuni 5-inch Folding-Fin Aircraft Rocket (FFAR), was designed as a modular system, to allow the use of different types of warheads and fuzes. One type of warhead was a proximity fuze, as the rocket was originally intended to be used as an air-to-air rocket. The Zuni was approved for production in 1957. A number of different launchers were tested for the Zuni, e.g. single launchers fitted to the AIM-9 Sidewinder launching rails of the Vought F-8 Crusader. However, four-tube LAU-10/A series pods became the most commonly used launcher. Sailors aboard Forrestal battle a massive ordnance fire triggered by a Zuni rocket. The Zuni was widely used in the ground-attack role during the Vietnam War. However, on 1 May 1967 during a sortie against Kep Airbase, North Vietnam, LCDR Theodore R. Swartz shot down a MiG-17 with Zuni rockets. This was the only MiG aircraft to be downed by a Douglas A-4 Skyhawk during the Vietnam War. Lieutenant Commander Swartz received the Silver Star for his action. In 1967, a Mk 32 Zuni rocket was responsible for a serious fire aboard the aircraft carrier USS Forrestal (CV-59), which led to the loss of 134 lives. A Mk32 was also responsible for a 1969 fire on the aircraft carrier USS Enterprise (CVN-65), leading to the loss of 27 lives and saw 314 more injured. Fifteen aircraft were destroyed. The Australian Government has donated its Zuni rockets to the Australian Space Research Institute (ASRI) and they are used for student experiments which are launched from the Woomera launching range. Every year a few Zunis are launched there. ASRI has also designed and constructed custom nosecones and payload recovery mechanisms for the Zuni. With a payload of 20 kg, the Zuni has an approximate range of 5.9 km, which it attains in about 40 seconds, experiencing 55 g and 491 m/s (Mach 1.4) during the flight. The 5" Laser Guided Zuni Rocket is a precision weapon and an upgrade to the unguided 5" Zuni rocket. The North American division of MBDA is the only manufacturer of the Laser Guided Zuni Rocket  similar to the Advanced Precision Kill Weapon System upgrade to the Hydra 70 system. 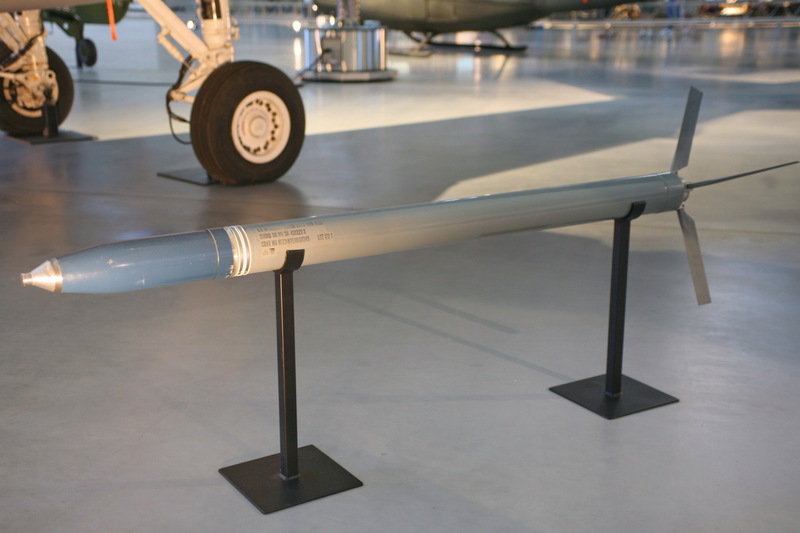 The Laser Guided Zuni Rocket is composed of the new WGU-58/B Guidance and Control Section that is attached to the front end of an unguided Zuni rocket and warhead. The weapon requires semi-active laser energy to guide to a precise target. The Laser Guided Zuni Rocket is on the U.S. Marine Corps Aviation Weapons Roadmap and Plan and is compatible with any aircraft that is cleared to carry unguided Zunis in a 4-place LAU-10 Launcher, including AV-8B Harriers, F/A-18 Hornets, AH-1 Cobra Helicopters and P-3 Orion aircraft. The precision weapon fits in the same launcher as unguided Zunis and requires only a 28V firing pulse and a semi active laser designator. The weapon was developed under a Cooperative Research and Development Agreement (CRADA) with the Weapons Division of the U.S. Navy's Air Warfare Center in China Lake, California (NAWC WD). In 2009, the Laser Guided Zuni Rocket was successfully tested against both a stationary and moving targets. The weapon successfully underwent a live fire warhead test flight in September, 2010. Grossnick, R. and Armstrong W.J. (1997). United States Naval Aviation, 1910-1995. Naval Historical Center. ISBN 0-16-049124-X. Wikimedia Commons has media related to Zuni rockets.